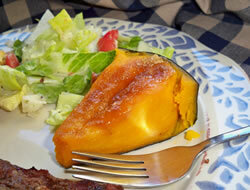 A sprinkled of brown sugar is a nice added touch to sweeten the great taste of winter squash. 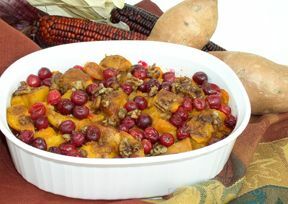 This easy squash recipe is a tasty way to enjoy this fall vegetable. Cut squash in half crosswise and clean out the seeds and stringy pulp. Place the squash cut side down in a microwave-safe dish. Cut several slits through the skin of both squash halves. Cover with plastic wrap, leaving a corner open slightly to allow steam to escape. Microwave for 20 minutes on high or until tender when poked with a fork. Remove from the microwave and take off the plastic wrap. Turn the squash halves over and cut into wedges. Cut a slit down the middle and insert a small tab of butter; then sprinkle the top with brown sugar. 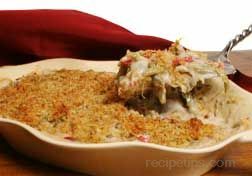 Place in a baking dish and bake in an oven preheated to 350 degrees for 20 to 30 minutes. Serve in wedges. "I am always anxious for the buttercup squash to be ready in the fall. 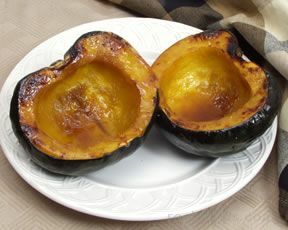 Buttercup squash is a delicious tasting squash and the glaze from this recipe added just a little extra to it. My wife and I both thought it was very good."